No pirate captain should be without a statement-making blade like the Brass Hilt Caribbean Pirate Sword. 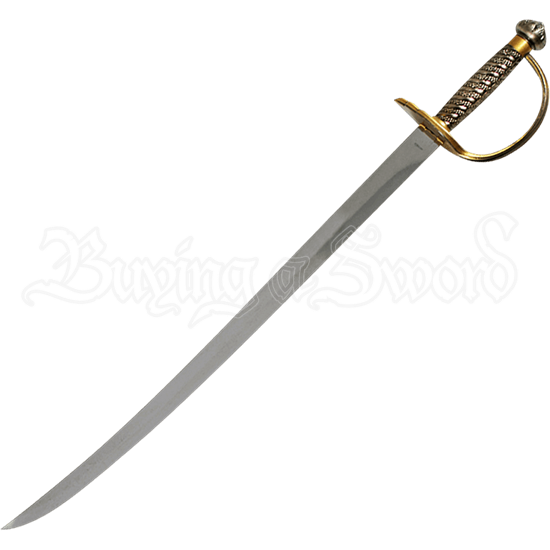 This single edge stainless steel sword is perfect for showing off your swashbuckler prowess, and it comes with a matching sheath. 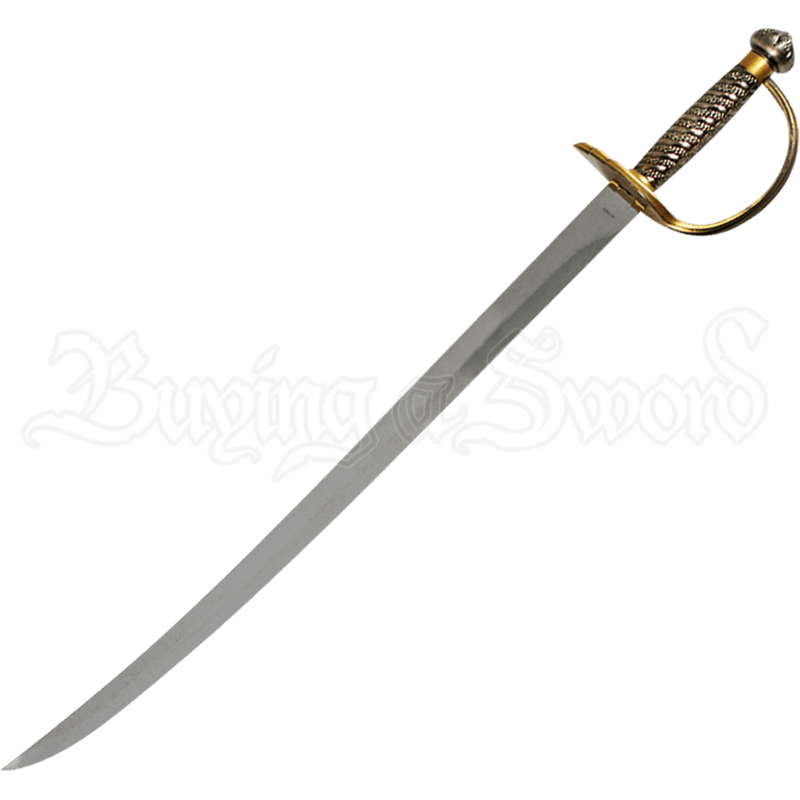 The blade curves slightly upwards, forming a saber shape common during the Golden Age of Piracy. The D-guard hilt is finished with a brass tone, and the curving arm of the guard protects the wrapped-look grip, attaching to the hilt just above the rounded pyramid shaped pommel. Made of wood, the matching black sheath has brass tone fittings at its throat and endcap, the former adorned with the image of a skull over crossing blades and the latter featuring crossed pistols. An essential accent to pirate themed displays, this replica pirate saber makes a great addition to weapons collections or a unique gift for your favorite pirate enthusiast.